Here's a few of hte links I loved over the past couple of weeks! 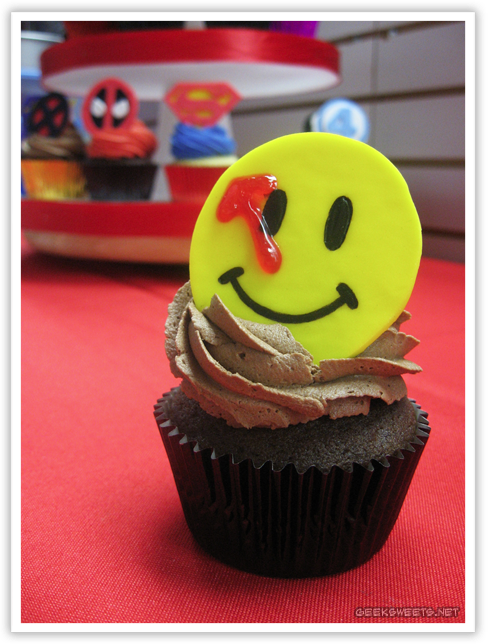 Fancy SuperHero Cupcakes - I've seen and loved superhero cupcakes, and these ones are a whole range of awesome. 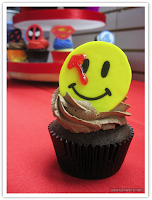 There are so many different cupcake toppers; go look and be inspired. Gollum Cross Stitch - The needlework geniuses at Steotch have created a new Gollumn centered love design. Yes, you must go look. Cubee Spock papercraft - Print out this nifty papercraft to make your very own cube Spock. Then you can call him a blockhead. Doctor Who as Owls - I know, that sounds a little weird. It's insanely adorable though. Click the picture to embiggen or click the link. Field Guide to Typestaches - In case you need to know how to classify different types of moustaches! R2-D2 and Han Solo in Carbonite Ice Cube Trays - Finally, I will be able to make Han Solo in Carbonite chocolates. These ice cube tray molds were an instant pre-order for me even though ice will probably be the last thing I'll actually use them for. Alliance Soap Bar - Luxury Lane Soaps has done it again. They have put insane attention and detail into a fantastic geeky bar of soap. I love them so. This brand new Alliance Soap Bar looks just like the rations sold to Patience in the very first episode. 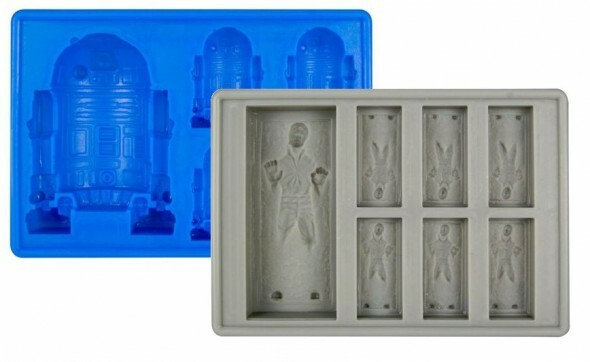 That Han Solo in Carbonite ice cube tray is awesome! It even has two sizes, for small and large treats. Ooh, I really need one of those. The different sizes is really what sold me too! I like that I can actually make decent size chocolates, etc from them. I also like that the release date is so far away I will have totally forgotten about them - it will be the best surprise when they show up! You have to stop this...I just can't handle the amount of awesome. Alliance Soap! Dr. Hoo! CUPCAKES! I am so in love with the soap. I can't wait til mine gets here!